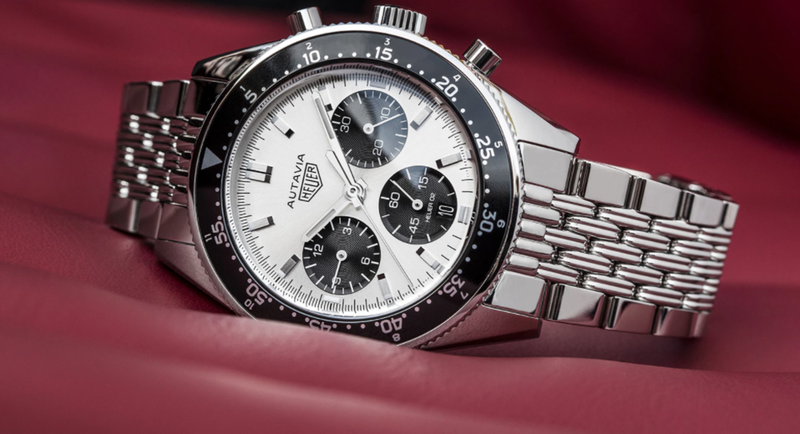 The Autavia chronograph made legendary by ’60s racers is making its comeback this year in honor of creator Jack Heuer and his 85th birthday. The first of the 1932 limited edition pieces (in reference to Jack’s birth year) will be part of the exceptional watches at the “Heuer Parade” auction organized by Phillips on November 11 in Geneva. TAG Heuer‘s reimagined timepiece is 42 mm in diameter compared to 39 mm in the ’60s — with a 12-hour graduated bezel and a new Heuer-02 calibre proprietary chronograph movement, the latest generation Autavia carries the DNA and aesthetic codes of the original, updated for today’s market. Other features include a self-winding calibre, power reserve of 80 hours, date at 6 o’clock, and water resistance to 100 meters. In black aluminum, the bidirectional notched bezel encircles a silver dial with three black snailed counters in an optimal layout. 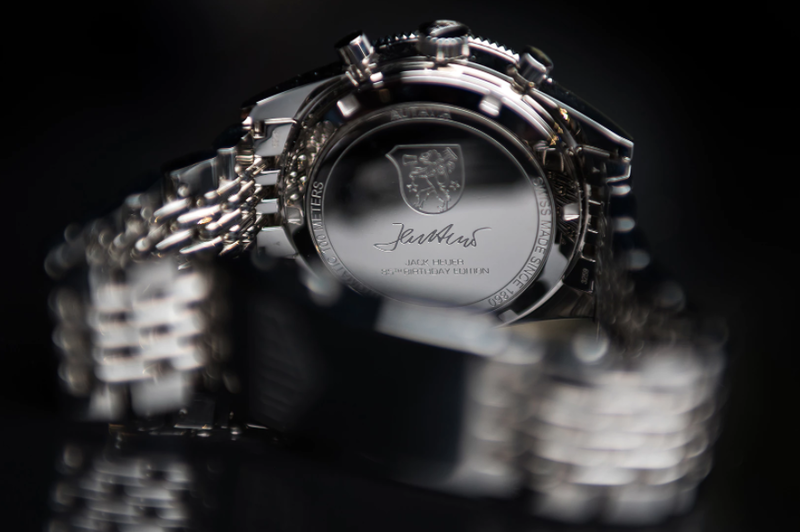 Highlighted is a legible, balanced display with hands and applique indexes in steel coated with beige Super-LumiNova. It’s completed with mushroom push buttons, a ridged crown, the Heuer logo and a “grains of rice” steel bracelet for a vintage feel.